00. Commission an original art work by Michael Leunig. 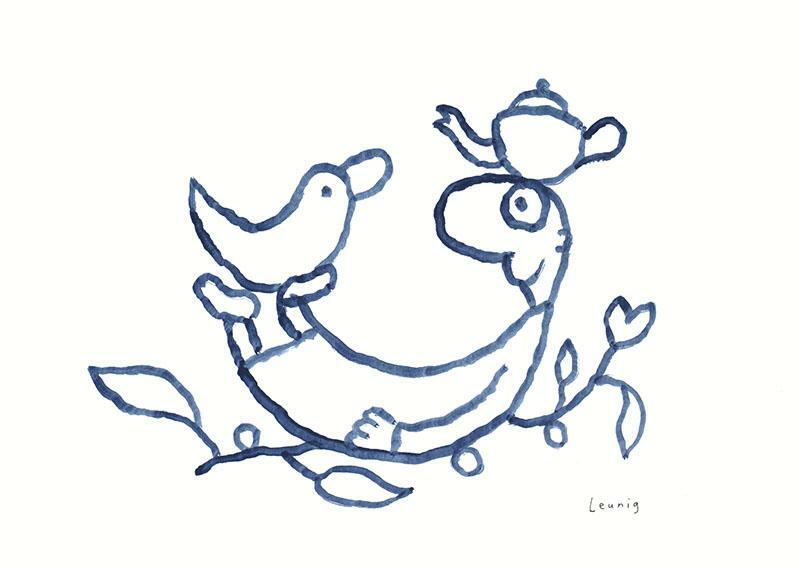 Playful Creature Dark blue ink on paper 2014 is an original art work Ink on Paper hand signed lower right by Michael Leunig and is dated 2014. The art work size is 42 x 29cm, Etching House ships registered insured worldwide, Michael Leunig art work is also available on Lay Buy from Etching House. These works are available till sold. Rolf at Etching House on 0413007054 to discuss possibilities. Etching House specialise in Michael Leunig fine art Etchings, paintings, Drawings, and Prints, Lay Buy is welcome on 20% deposit and can be up to 12 months No fees.